We provide quality treatments at a reasonable price to leave you with a smile to be proud of. We offer the full range of treatments available under the NHS banding system. Treatments are also available under a Private fee per item service. Please note that not all listed treatments are available within the NHS banding. We offer two types of tooth whitening; whitening strips, and tray whitening. The strips adhere to your teeth and are discarded. The whitening trays will provide you with enough whitening gel to whiten your teeth and normally leaves enough for a top up dose as needed. After this the trays are kept and just the gel is required. This can be purchased at the surgery. Veneers are thin, custom-made shells of tooth coloured materials. They are used to improve the overall appearance of your teeth. They can close gaps, mask stains, correct a mild mal-position, and improve shape of teeth. 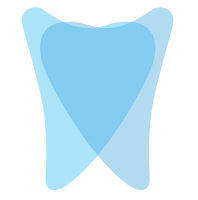 This process is irreversible as a small amount of enamel removal is needed. A crown is a cap that is placed over a tooth, after it has been trimmed. They can be used to protect a heavily filled, root treated, or fractured teeth. They can also be used to correct spacing, irregularly shaped, or severily discoloured teeth. We provide a full range of crowns, including all ceramic and gold. These fillings are tooth coloured and provide a more natural result. On top of their improved aesthetics they adhere to your tooth and may help to reduce the occurrence of cracks. The guards are a custom fit and are made at a dental laboratory. They can be made to varying thickness` and in numerous colours and styles. These are a removable custom made appliance used to replace missing teeth. They can be made of acrylic, chrome or a flexible acrylic. Root treatment has the main aim of allowing you to keep your tooth when the nerves and blood vessels have died within the tooth and has normally led to infection. The process that causes this to happen is swelling or trauma. This can happen when a tooth has decay, and even after it is restored or crowned. When this occurs you, on occasion, have the option to have root canal treatment. The process involves the removal of the dead nerves and blood vessels, which act as a food source for the infection. After the tooth has been cleaned internally within the root, a type of rubber is used to fill the void and then it is restored. A bridge is an appliance that is fixed to a tooth to replace an adjacent missing tooth. It can either be attached to a tooth with a metal wing, or a tooth can be reduced to provide enough room for a crown to placed over the top to support the "false" tooth. Splints are a custom made dental appliance aimed at reducing the signs and symptoms of clenching or grinding. If left untreated it can cause headaches, facial pain and fractures to your teeth. You may not be aware of these habits, and the pain can often be associated with something else. Gum disease can occur in varying severity. Symptoms are normally very mild if not absent until the later stages. If left untreated you may experience pain, swelling, looseness of the teeth and eventual tooth loss. The treatment aims to monitor the disease, treat the cause, usually through a thorough cleaning to remove debris, and advice on how to maintain good oral hygiene. We will tailor this regime to your specific needs.